Get stuck in restrictions when enjoying your movie, songs, ebook and audiobook because of DRM protection? Want to enjoy the DRM-ed media files freely without any limitation? Luckily for you, there are several easy-to-use software to get rid of the annoying DRM for you. There are 3 popular free DRM removal tools for DRM-ed videos, music and ebooks, and for your benefit, they have been reviewed with a pros and cons list. In the end, alternative software will be recommended to help you better remove DRM from iTunes videos, music or audiobooks. 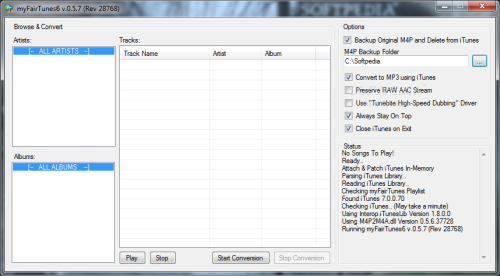 Requiem works as iTunes DRM removal software to crack iTunes DRM from iTunes songs, videos, and books. Requiem makes it possible to play the iTunes M4V on non-Apple devices, such as Samsung, HTC, and so on. Requiem have not updated since version 4.1 launched. Requiem 4.1 is only for PC and Mac running iTunes 10.6/10.7. Cannot convert iTunes rented videos. The Windows version only works with Java installing. Download this DRM removal shareware from digiex.net. Bypass DRM from iTunes rented and purchased videos. 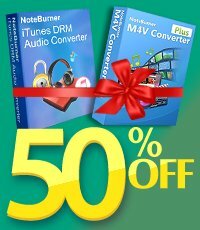 Convert iTunes M4V videos at 20X faster speed with lossless quality. Keep multilingual subtitles and 5.1 audio track afet conversion. Keep up with iTunes and OS updates. Easy to use and support batch conversion. It is specialized in converting iTunes videos. Cannot convert iTunes audios or audiobooks. myFairTunes is a DRM remover especially designed to work with iTunes M4P music. It allows you to search for music that bear DRM protection in your entire collection. myFairTunes is able to make an MP4 backup of the original files before you remove them from iTunes. Cannot convert Apple Music songs and audiobooks. It is unable to choose settings for music quality, output audio file size and output preference. It has not updated for a long time, and could only support iTunes 10.7 or earlier version. It requires Microsoft .NET Framework 2.0 installed. Download this DRM removal shareware from softpedia.com. Available both in Mac version and Windows version. Convert DRM-ed M4P music to DRM-free MP3, AAC or WAV. Convert music at fast speed with hih quality. Keep all ID tags and metadata. It's not a freeware, but it provides a free trial version which enables you convert the first 3-minute of each audio. Learn More: How to Convert Remove DRM from Apple Music Songs? Totally free and support the latest Windows 10. 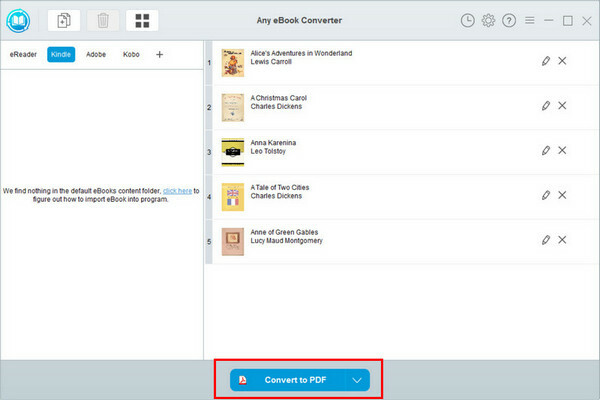 Download this DRM removal tool from any-ebook-converter.com.